These classic silver plated double photo frames are reassuringly weighty to hold and feature a pair of sturdy hinges that allow the opened-out frames to stand securely. 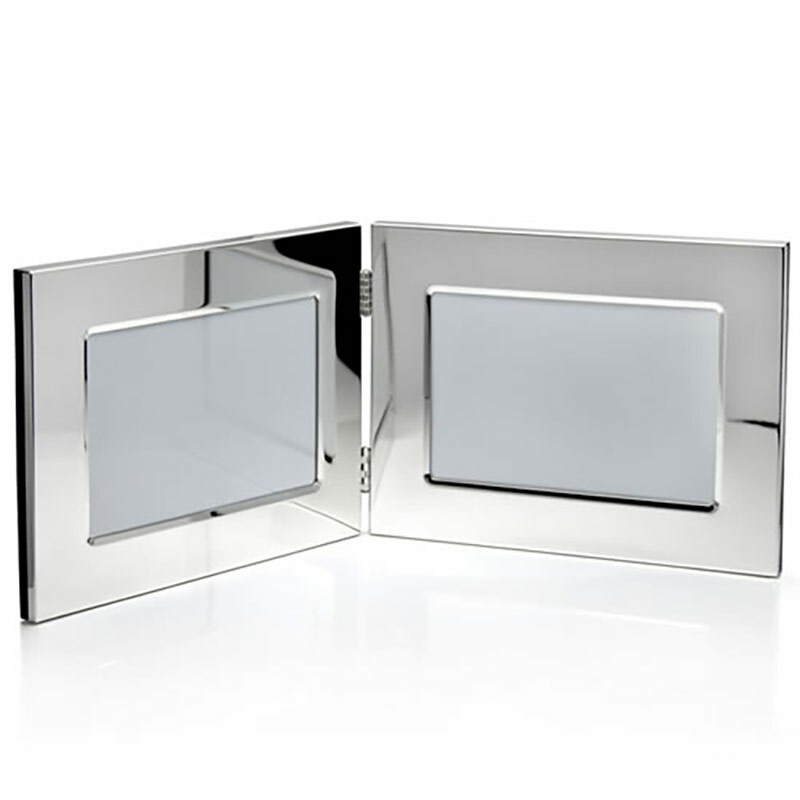 The fine quality, highly polished silver plated finish adds a touch of real luxury to these frames. Each frame is sized to accommodate a 7in x 5in photograph in landscape orientation, and they can be engraved to add details of an event or achievement, a corporate or club logo, or any other inscription you choose. Engraving is typically placed in a central position below the photograph, but please contact us if you require a different engraving position. These frames are supplied tissue-wrapped in an attractive presentation box and are ideal as corporate gifts to commemorate a special day or achievement.